Supply can’t keep up with demand when it comes to organic, which is why Big Ag is offering to foot the bill. Organic food is in higher demand than ever before, with sales of organic products growing 11 percent last year to reach $43.3 billion in the United States. According to the Organic Trade Association, that’s roughly four times the growth in sales of food products over all. Supermarkets and food manufacturers can hardly keep up with the demand, particularly in organic dairy and grains. If supply had kept up with demand, sales could have been even higher. 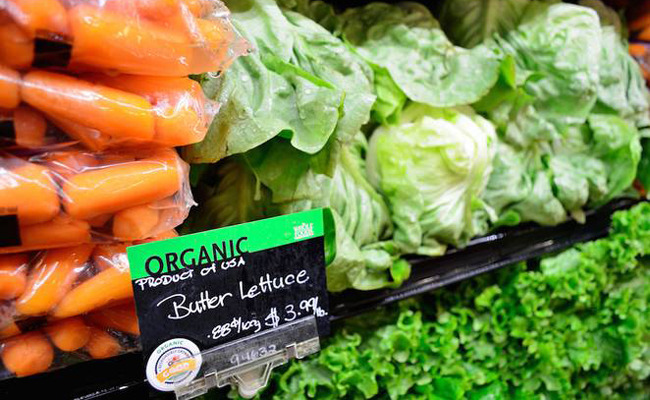 So why aren’t more farmers jumping on the organic bandwagon? They’d like to – and a great number are doing so – but it’s a complicated process that involves three years of transition before a conventional farmer can start marketing his or her products as certified organic. Any farmer could choose to start farming organically, but would have to continue selling products at conventional prices until all traces of previous pesticide and herbicide use are gone. Based on the last government tally, only 1 percent of agricultural land in the United States is currently certified organic, so there is a lot of potential for transition to happen and more money to be had by farmers. Organic products cost, on average, 47 percent more than their non-organic counterparts, but farmers have to be able and willing to swallow the up-front cost. While it’s nice to know that Big Ag is jumping on the organic bandwagon, it is somewhat distressing to learn of the long-term exclusive contracts that many corporations are urging farmers to sign in exchange for up-front financial help. It’s a safe bet that demand for organics is here to stay, but if farmers are locking into contracts that promise their products to specific manufacturers, it fails to “play a role in democratizing organic food [and] making it available to more people” in the way that Denholm would like to see. While supermarkets scramble to meet demand, don’t forget about local suppliers and farmers who might be able to give you deals on organic products that aren’t available elsewhere. Better yet, you’ll know your money is going directly to the farmer, rather than to a company that simply processes those organic products, packages them fancily, and marks them up considerably. Sounds progressive.Is that still legal?